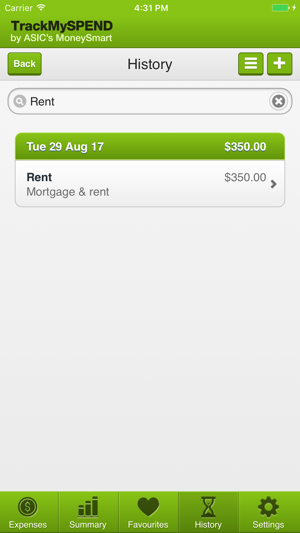 Track your personal expenses on the go with this easy-to-use app from MoneySmart. 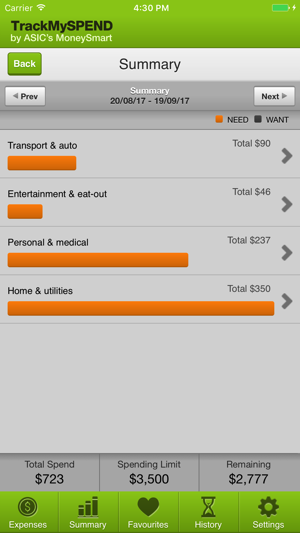 TrackMySPEND gives you a clear picture of what you are spending your money on. 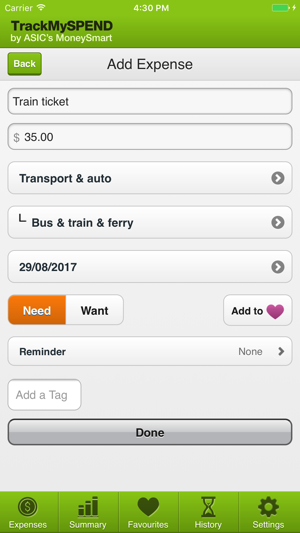 We value your feedback – please send comments and suggestions using the Feedback/ Comments functionality within the app. 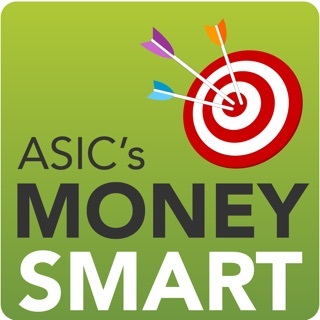 MoneySmart is run by the Australian Securities and Investments Commission (ASIC), an Australian Government agency. 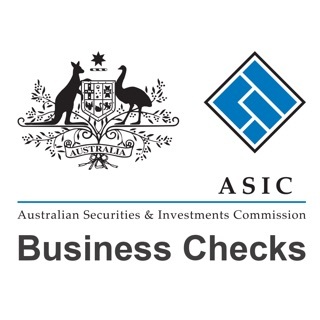 The website offers free, independent guidance to help you make the most of your money. It is put together by an experienced team of financial planners and consumer educators. Stability updates and support to new devices. KISS - you know what it stands for! I'm a financial advisor and I use this myself. It's simple and easy, and that's what sticks. 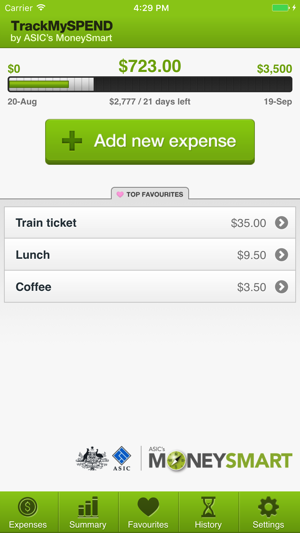 This app covers everything and gives you several ways to breakdown your expenses. It has a nice interface and it is very easy to use. 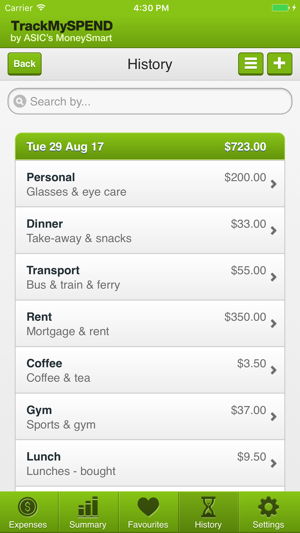 I have been using it for several months and it has changed the way I spend money. So glad I found this.